English students at St John’s College are independent thinkers and enthusiastic researchers, who love reading and writing, and are eager to discover new texts and new ideas. If this sounds like you, we warmly encourage you to apply! Our students enjoy the freedom to develop their own interests, and they graduate as self-motivated scholars with a passion for their newly discovered areas of expertise. They also enjoy learning from each other, as they refine their ideas through discussion with fellow students and supervisors in paired supervisions and small group seminars. If you are curious, flexible, and eager to learn, we want to hear from you. 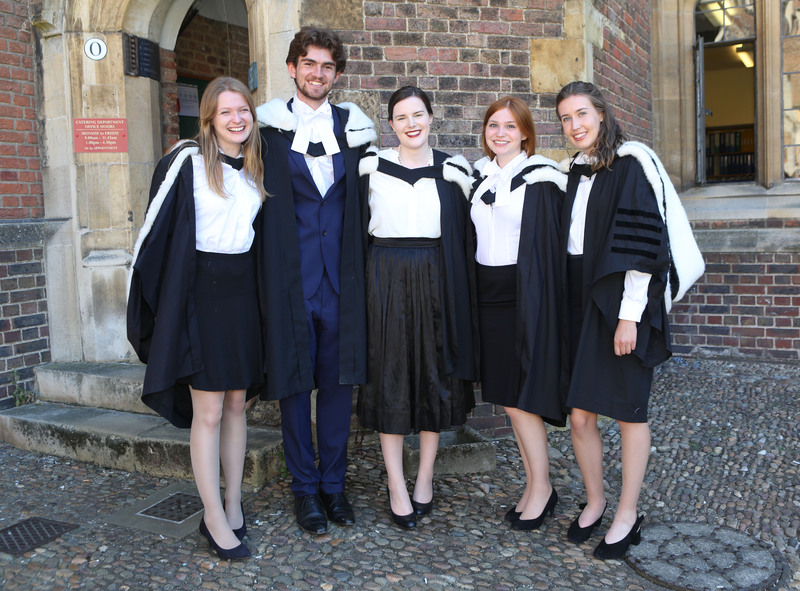 We currently admit around 7 undergraduates each year to read English, and they arrive here from all over the United Kingdom and beyond, from a wide range of educational, social, and ethnic backgrounds. They frequently achieve outstanding results in their examinations – including, in recent years, prizes for best dissertation, best original composition, and top student in English in the University. We – the College’s Fellows in English – organise our students’ supervisions and small group seminars, and direct their studies throughout the degree; we also bring in external supervisors with appropriate expertise for particular options that fall outside our own specialist areas. As well as teaching in College, we all teach in the English Faculty of the University, which is where students from all the colleges come together for lectures, seminars, library work, and social life. You can find out more about our teaching and research interests through the links below. The College provides generous study and travel grants, and assists students with the purchase of computing equipment and books for the course. The University Library and the English Faculty Library are very close by – only ten minutes’ walk across the College gardens – and the College library is excellent and very well stocked for English. We are also fortunate to have a Writer in Residence based in College: a professional writer who is available to guide students who want to develop their own creative writing. The atmosphere and ethos in our supervisions and seminars is of a collaborative and mutually enriching serious conversation between equals, who share a love of reading and thinking. If this sounds like an exciting environment for you to study in, then we hope that you’ll consider making an application. The English course at Cambridge is the same at all Colleges, and is divided into two parts: Part I (the first two years of the degree) and Part II (the final year). Part I involves the study of literature written in the English language from 1300 to the present day, divided into four historical modules (‘period papers’) and a module devoted to Shakespeare. Part II has a wide range of optional modules from which students select according to the interests that they have developed over the first two years. Students also study literary theory, criticism, and ‘practical criticism’ throughout the course, and ‘Tragedy’ in the third year. There are options in each Part for swapping an English module for a module from another faculty, to allow the study of literature in foreign or classical languages; there are also options for submitting coursework (a portfolio of essays and/or a dissertation) in place of some exams. Within each module, students have a lot of freedom about which texts, topics, and authors they focus on, and the questions that are asked in examinations at the end of Parts I and II are generously conceived and wide-ranging enough to accommodate very different interests. We do not have a syllabus or set texts: Cambridge English encourages original thinking rather than any particular approach, and students are supported in developing their own research projects. You can find out more about the course on the Faculty website, through the links below. We admit students solely on the basis of academic potential, taking into account all aspects of each student’s application. Offers are normally conditional upon candidates’ school performance, and our standard, minimum conditional offer is equivalent to A* in English Literature A-Level plus AA in two other subjects. If you apply after completing the relevant examinations, for example during a gap year, you may receive an unconditional offer on the basis of the grades you have already received. We welcome applications from candidates who are taking a joint A level in English Literature/English Language and we do not rule any applicant out on the basis of their A-Level choices. Applicants will need to sit the ELAT, the University's Pre-Interview Admissions Assessment for English. To help us with the selection process we would also like you to submit two essays that you have completed recently on any literary subject. These may be coursework or timed essays, or any comparable piece of written work, but they should be typed rather than handwritten, and should not be examples of creative writing. We will be looking for the ability to construct a coherent argument, to write fluently and precisely, and to think originally. If you are invited for an interview, you will also be asked to submit a short list of texts that you would be willing to discuss in detail. We conduct admissions interviews in a friendly and informal manner, and we are not looking for a particular kind of person. You do not need to have done any special preparation in advance, but you do need to be ready to think on your feet about unseen texts and unfamiliar ideas. One of your interviews will be based on a short text that you will be given just before the interview itself, which will usually not be the kind of thing you are used to reading at school. Don’t feel that you have to know all the answers: what we want to see is how you think in discussion, and how your mind works when confronted with something that does not immediately yield itself up to ways of reading and thinking that you have encountered previously. Questions may also arise from the written work you have submitted, from your school texts, and from the wider reading you have mentioned. The best preparation is to read widely, thoughtfully, and inquisitively outside your school course. We will be looking for intellectual curiosity, a capacity to comprehend and engage with counter-arguments, an interest in the implications and characteristics of different genres and styles, and signs of genuine interest in literature, as evidenced by wide, self-motivated reading across genres and periods outside your course. 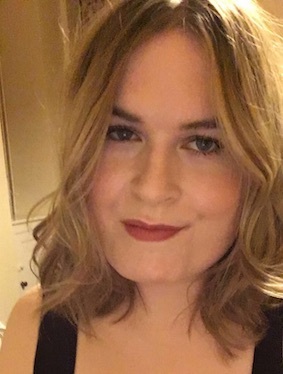 "I love the way the English course has repeatedly pushed me out of my comfort zones: exploring literature from the Middle Ages to the present day across Part I has led me to read works I might never have considered before, and given me a firm grounding from which to specialise in my final year. Most of all I love the flexibility offered within papers to pursue my own interests, and the way in which the resources and supervisors at St. John's support this. The most valuable advice I could give to any applicant is that which a supervisor once gave to me: ‘read widely and think deeply’!" 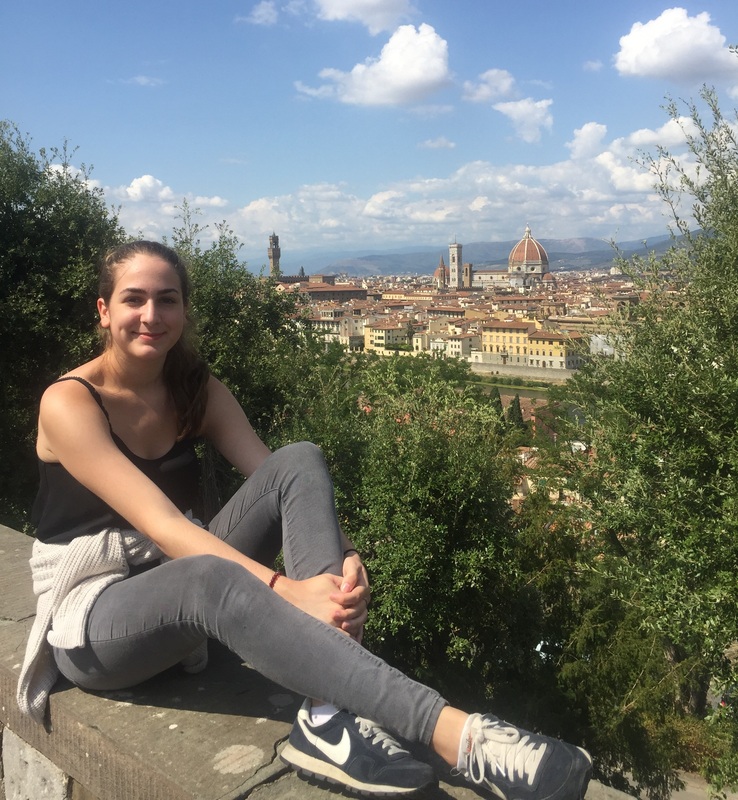 "The supervisions and seminars offer such a stimulating, supportive environment to learn that at the end of my time in Cambridge, I find that my education here has not only changed what I know (which is definitely a lot more than at the start), but how I think and see the world. The English course combines a solid foundation in key periods and authors with a surprising amount of choice and flexibility. As well as choosing my optional papers and dissertation topics, I always felt encouraged to pursue my interests within the scope of each paper. Having an expert in your material ask 'What would you like to do next?' at the end of each supervision is absolutely thrilling! English is also just a lot of fun. I ended up enjoying even papers that intimidated me or that I thought wouldn't interest me, just because of how interesting all the lectures and supervisions turned out to be. It was a real joy to be surrounded by people who are just as enthusiastic about literature as I am, and to have the opportunity to learn not only from professors, but from fellow students as well. Be yourself! The English course encourages originality (and having just written a dissertation on Wonder Woman, I can vouch for this), so talk about the things that you love, rather than what you think interviewers want you to love. Don't be afraid to have a go at questions you feel you don't know the answer to; nobody is looking for 'right' answers, it's all about how you think and whether or not the supervision system would suit you. Don't feel intimidated. As a disabled, international, first-generation student I had many reasons to think I wouldn't be the right 'fit' for Cambridge, but it turns out that I was - because I had the enthusiasm and curiosity that the university looks for. I found St John's an incredibly friendly place to learn and live, where my Tutor and Director of Studies supported me to be my best self every step of the way." Further information about the English Tripos, the Faculty, and the teaching staff can be found on the Faculty website. You can also contact the Faulty for more information: Undergraduate Enquiries, Faculty of English, 9 West Road, CB3 9DP. Telephone: 01223 335070 or email english-faculty@lists.cam.ac.uk.